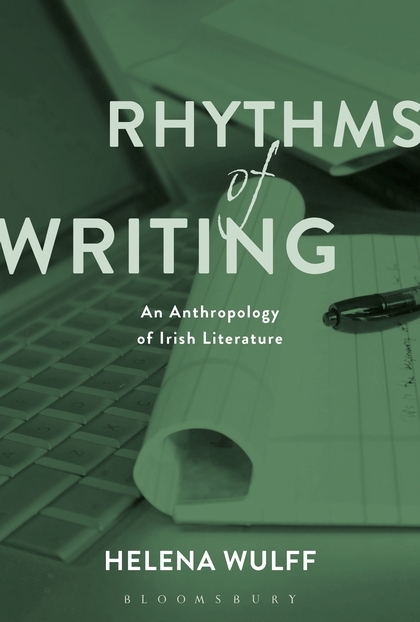 Ilana Gershon: When you are at a book event for an Irish author, how do you explain what an anthropologist brings to the study of Irish writing? So it would be at the interview that I explain that I, as an anthropologist, hope to bring an understanding of the significance of the Irish history and culture to the making of an author in Ireland. Irish history is significant in Ireland because of the long and brutal British colonization which ended rather recently, in 1922. Irish people have not quite come to terms with the colonial situation yet. As this study is my second major study in Ireland – the first one was published as Dancing at the Crossroads: Memory and Mobility in Ireland (Berghahn, 2007) http://www.berghahnbooks.com/title/WulffDancing – I think I can claim a certain expertise on Ireland, and thus an awareness of its strengths but also vulnerabilities. In my capacity of an anthropologist, I thus hope to bring an understanding of the cultural context that produces these eloquent writers, and their writing as craft and career. I look at the whole process beginning with how writing is taught, how breakthroughs happen, how authors build and maintain reputations, failures in getting published, and finally how decline can occur or simply demise. Looking at the social organization of the literary world in Ireland, also in relation to a global one, I note with interest the societal impact authors have in their role as public intellectuals. The publishing industry with small boutique publishers is clearly crucial, and their connections to global conglomerates. Ilana Gershon: Has studying how Irish writers engage with their craft affected your own writing practices? Do you write differently, or have a new range of concerns about your texts? Helena Wulff: My interest in writing goes a long way back. Almost from the start, when I learnt to write, I have been driven by a desire to take writing as a craft seriously. But my writing would not have flourished, had I not had my doctoral training in the Department of Social Anthropology at Stockholm University under the guidance of Ulf Hannerz. In the spirit of Clifford Geertz we were taught not only to read fiction from our fields, but also to keep training our writing skills, to develop a clear sense of style – also about complicated issues. Now my interest in writing includes both nourishing my academic writing and venturing out into other genres such as journalism and creative non-fiction. I edited a volume on this topic titled The Anthropologist as Writer: Genres and Contexts in the Twenty-First Century (2016). In addition, I have taught two master’s courses for anthropology students on writing: “Anthropological Writing Genres” and “Writing Anthropology Workshop,” the latter together with my Stockholm colleague Anette Nyqvist who designed it. For me, writing is like breathing. I am a habitual writer. Having found my form, I still find it fascinating, and necessary, to keep looking for new expressions and formats, to keep developing as a writer. Like Roddy Doyle, one of the most prolific writers in my study, I don’t accept writer’s block. When I asked him in an interview, if he ever gets them, his reply was firm: “I write through them!” He just writes on, even on a bad day. So do I. Eventually it will lift, and I fly! In fact, I enjoy solving the “problems” of getting stuck. I enjoy trying and trying again and again, to finally finding a new solution to a phrasing or a structure or whatever it is that does not work just then. Deadlines are key. I am good with deadlines, I dare say. It helps to be well-organized and plan your writing time in great detail. I set aside weeks and days for writing certain pieces. (This has sometimes caused some amusement among friends when I have invited them for dinner three months ahead of time…as that is when I have space in my crowded calendar!) Colm Tóibín, another prolific writer in my study, who in addition to writing fiction to great acclaim, is a prominent public intellectual in Ireland, talked about deadlines when I met him for an interview. Contrary to many writers (and certainly academics…) who have a fear of deadlines, try to push them and risk dancing on deadlines rather than making them, Tóibín noted matter-of-factly: “Deadlines are good. They make you finish” (Wulff 2017: 31). Ilana Gershon: I was struck by how many of the writers you spoke to will write in longhand, and how rooted this was in the sensual experience of writing with ink (54). I am wondering if writers felt that there was a significant difference between composing in longhand, on a typewriter or computer, and if editing through these different forms was also a markedly distinct experience for them? Helena Wulff: I was struck too by how many of the writers write in longhand! Not least in this day and age, when writing longhand seems to be a disappearing skill among young people. These writers were born in the 1950s so they did learn longhand at school. What I also found amazing was that (with a few exceptions) one writer after another that I talked to in their homes, showed me the same kind of big blue notebooks with wide margins that were useful for making revisions. Incidentally, the notebooks made me think of the writing exercise books I used in primary school that were corrected by my teacher (after three essays without errors – you got a gold star glued into the margin!). Certainly these writers found writing longhand, and editing their longhand, more thorough than using a computer. (They did not use typewriters.) Some would edit their longhand up to two or three times before typing it on a computer. And then edit again, on the screen this time, but finding this a different, more mechanical process. Ilana Gershon: You mention that Irish mothers were a continual theme throughout all your research projects based in Ireland. What new insights to what it means to be or have an Irish mother did you have because authorship was your starting point this time? Helena Wulff: There are definitely more mothers portrayed in literature than in dance in Ireland, which alerted me to consider “the Irish mother.” The portraits that often are inspired by the writers’ own mothers range from devotion to loving mothers to dismissal of neglecting mothers. It is less common to write about what it is like to be a mother, but there are fictional cases of the fright of losing a child in an accident, for example. The expectation that women will be or are mothers, which is strong in Ireland (possibly because of cultural traces of Catholicism) also came through in fiction such as in Anne Enright’s Making Babies: Stumbling into Motherhood (2004) which is a collection of racy essays about giving birth and being a mother. This was inspired by Enright´s experience of having her two children rather late in life and well into her marriage. As I got to know writers, I noticed how close they often were to their mothers. It could be the writer who invited me into his study and in particular pointed out a small painting he had right in front of his desk explaining that “my mother liked it.” Of course, it seems to be about the same to be an Irish mother as to be a Swedish or American mother, from the inside so to speak. With certain variations, mothers seem to have about the same feelings of love and worry about their children. But then the influence of mothers is very different. And here religion, or at least, again, cultural traces of religion, may be the explanation to why certain mothers have more influence than other ones. Catholicism and Judaism, for example, are of course, “inherited” through the mothers and both feature powerful mothers. Ilana Gershon: How do you think analytical questions about translation are transformed when it is the author of the original text translating the work into a new form, such as a musical or film script? Helena Wulff: The writers rarely did this kind of translation, especially not on their own. If they did it, it tended to be a co-production together with a script-writer, for example. The analytical questions about translation change as they move from translation between texts in different languages to explain translation between different media such as from text to film or stage. For one thing sound such as music is added. Importantly, Irish fiction is quite visual and strong on dialogue which is why it often works as film. Ilana Gershon: How has fieldwork for this book shaped the kinds of questions you are asking in your current project on migrant writers in Sweden? Helena Wulff: My current project is also an anthropological study of a social world of writers, but focusing on migrant writers in Sweden. I am looking at similar themes such as the making of a migrant writer’s career, learning to write, breakthroughs, reputation, the role of the publishing industry and the idea of the “migrant writer,” as well as these writers´ international impact. Contrary to contemporary Irish writers who can stand on the shoulders of the world fame of their giant predecessors such as James Joyce and Samuel Beckett, migrant writers in Sweden cannot claim any kinship with August Strindberg or Astrid Lindgren. So how come the work of Jonas Hassen Khemiri, successful Swedish writer of Tunisian background, is attracting attention in New York, London, Tokyo and elsewhere across the globe? Khemiri writes fiction, plays and journalism about new issues of physical appearance, terrorism and racial profiling in Sweden. It turns out that it is not contemporary Sweden that evokes interest internationally but local versions of these global issues.